IF YOU ARE AGAINST THE USE OF THIS PRODUCT AND/OR HAVE CONCERNS ABOUT ITS SAFETY CONTACT THE COMPANIES THAT ARE USING IT BY THE TONAGE! Leave me out of it! I do not sell this product but I stand by many uses it has! As a cancer researcher, I am NOT against MMS (sodium Chlorite) are you? You can see from the following article that the U.S. Government has done research for many years on the safety of using chlorine dioxide in many daily applications. Now, they have patented it and are working with it around the world! This is the same government that tried and convicted Daniel Smith recently. There is one justice for the U.S. Government and the companies that support them and another for the common “John Smith” citizen and in this case “Daniel Smith” citizen. Although they are not promoting ingesting chlorine dioxide they are mentioning its application as a mouthwash and cleaning vegetables and fruits as well as treating water which all enter the mouth. They even say, “Chlorine dioxide is a yellow-green gas with a faint odor similar to chlorine bleach, but otherwise it is very different. It has been recognized as a disinfectant since the early 1900s, and has been approved by the U.S. EPA for many applications.” Like bleach but not bleach! “Chlorine dioxide is a broad-based biocide that kills spores, bacteria, viruses, and fungi. To date no organism tested against ClO2 has proved resistant. It has effectively been used to kill bacterial spores, which are much more difficult to kill than viruses, such as Ebola, according to Doona.” We know this and have used it for Ebola in West Africa. “Americans hear in the news about outbreaks of E. coli, Listeria, and Salmonella from fresh fruits and vegetables. ClO2 holds promise for the food industry but also, on a smaller scale as a home sanitizer for rinsing fresh produce or appliances,” Doona said. 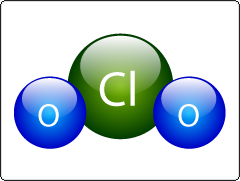 http://techlinkcenter.org/summaries/chlorine-dioxide-disinfectant-surface-or-rinse-applications “Safe for human use and the environment” http://www.clordisys.com/ “About ClorDiSys Solutions, Inc. ClorDiSys Solutions, Inc. was founded in 2001 as a spinoff from the Johnson & Johnson Co. The company has since been a leader in decontamination and sterilization of pharmaceutical, medical, veterinary, and food facilities. Currently ClorDysis is the select vendor for the U.S. military lab, federal health agencies and private hospitals.” Companies that use Chlorine Dioxide Pharmaceuticals • Abbott Laboratories • Amgen • Arqule • Baxter Healthcare • Boehringer Ingelheim • Bristol Myers Squibb • Cardinal Health • CardioKinetix • Celgene • Cook Myosite • Eli Lilly • Genzyme • GlaxoSmithKline • Johnson & Johnson • Merck • Merial Limited • Monsanto • Novartis • Pfizer • Sanofi-Pasteur • StemCells, Inc Food Industry Names removed due to confidentiality • Aseptic Juice Filling Lines • Aseptic Juice Transport Containers • Bakeries • Blending Tanks • Cereal Production Facilities • Controlled Atmosphere Rooms • Dryers • Large Volume Orange Juice Holding Tanks • Liquid Piping Systems • Meat Processing Facilities • Seeds • Soy Processing Facilities • Spiral Freezers • Pet Food Processing Facilities • Product Transfer Piping Systems • Whey Powder Processing Facilities • Yogurt Facilities Research Labs • Alabama State University • Arizona State University • Binghamton University • Boston Children’s Hospital • Boston University • Columbia University • Florida State University • Georgia State University • Hilltop Laboratories • Illinois Institute of Technology • Iowa State University • Kansas State University • Massachusetts General Hospital • Medical College of Wisconsin • Michigan State University • Midwest Research Institute • Northwestern University • Notre Dame University • Ohio State University • Oregon Health and Safety University • Penn State University • Rowan University • Rush University Medical Center • Rutgers University • St. Jude Children’s Research Hospital • St. Louis University • Stanford University • SUNY’s • Taconic Farms • Texas Tech University • Tufts University • University of Hawaii • University of Kentucky • University of Louisville • University of Nevada – Reno • University of Wisconsin – Madison • University of Pennsylvania • University of Pittsburgh • University of California’s • University of Tennessee • University of Texas Medical Branch • Van Andel Institute • VA Hospitals • Virginia Polytechnic Institute • Wistar Institute http://www.prweb.com/releases/2015/01/prweb12424013.html About ClorDiSys Solutions, Inc. ClorDiSys Solutions, Inc. was founded in 2001 as a spinoff from the Johnson & Johnson Co. The company has since been a leader in decontamination and sterilization of pharmaceutical, medical, veterinary, and food facilities. Currently ClorDysis is the select vendor for the U.S. military lab, federal health agencies and private hospitals. ClorDiSys’ cutting-edge Chlorine Dioxide and UV light disinfecting technology are being used by CDC and World Health Organization to stop the spread of the Ebola virus in West Africa as well as the prevention efforts in the United States. About Torlak Nigeria Limited The company is based in Abuja, Nigeria and was founded by Eze Emecheta in 1985. Torlak Nigeria Limited is a joint venture with Zevis Pharmaceuticals Ltd. The company imported vaccines and distributed biological substances produced by Torlak Institute before expanding its business to include medical equipment supply, Laboratory installation and commissioning, supply of medical devices and disposables. Torlak Nigeria Limited is among the select vendors of major health partners in Nigeria for DFID and EU. It is also a key procurement vendor in ECOWAS to provide anti-Ebola related protective gears and medical supplies. IF YOU ARE AGAINST THE USE OF THIS PRODUCT AND/OR HAVE CONCERNS ABOUT ITS SAFETY CONTACT THE COMPANIES THAT ARE USING IT BY THE TONAGE! Leave me out of it! I do not sell this product but I stand by many uses it has! OMG !! Amanda.. you are still alive ! Thank God !!! Yes, we made it, the battle continues.